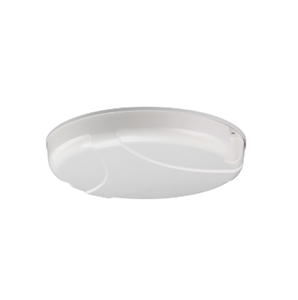 The iDAS.C.001 from Taoglas is a compact LTE MIMO circular antenna designed for use in indoor distributed antenna systems (iDAS) to address building coverage problems. The iDAS provides worldwide 4G LTE MIMO coverage while also covering the 3G and 2G bands (699 – 960 / 1710 – 2700 / 3400 – 4000 MHz). It delivers a gain of up to 6.5 dBi and can handle an input power of 50 watts. This ceiling mount antenna measuring 218 x 38 mm is available in an IP54 rated enclosure and is suitable for installation in stadiums, shopping malls, colleges and hospitals. The product ships with an RG-402 equivalent plenum rated cable with a temperature spec of up to 150C. The PTFE/FEP jacket is flexible yet chemical and fire resistant. Taoglas also offers customizable cable lengths, cable types and connector types.